Jump to video What's the U.S. plan in Afghanistan? 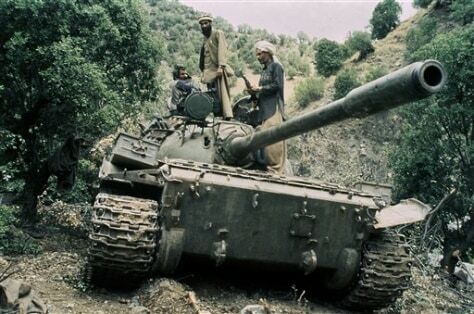 Mujahedeen guerrillas sit atop a captured Russian T-55 tank in 1987. The U.S.-led coalition has now been fighting in Afghanistan for as long as the Soviets did.